One of the easiest ways to get started with digital TV is with a cheap USB tuner package. If you don't already have an antenna or TV that can accept Digital TV, you may want to try one of these. Assuming you have a computer (laptop, etc), this package contains everything you need. I originally bought one of these thinking that I would use it for camping (way before the switchover to Digital TV became mandatory). Little did I know that it already Digital TV support built in and suddenly became really useful to me. 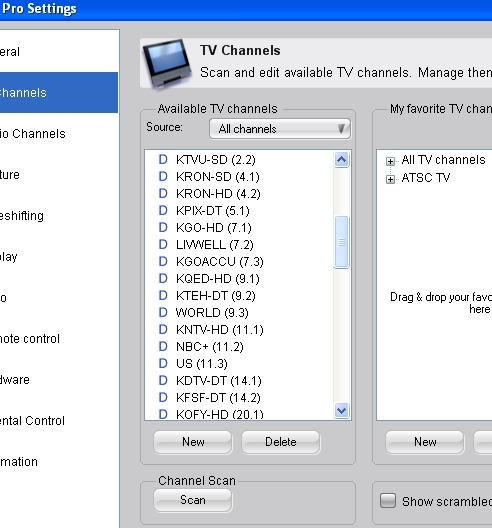 Don't worry about the cryptic names, all we care about is for this test is that it supports ATSC (Digital TV). 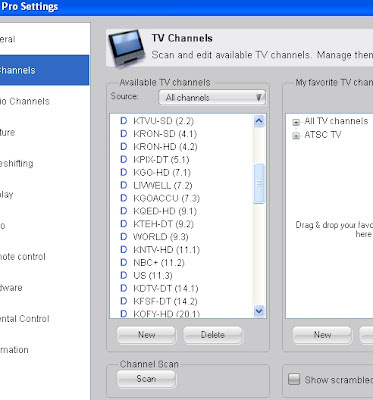 The software that comes with it is called Pinnacle Systems' TVCenter Pro 5.4. 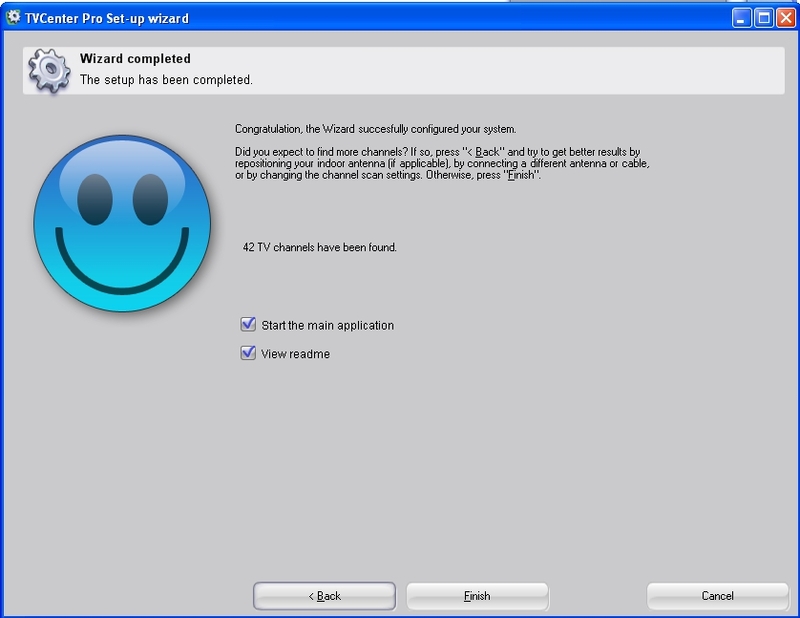 Just download the latest version or install it from the CDs provided. 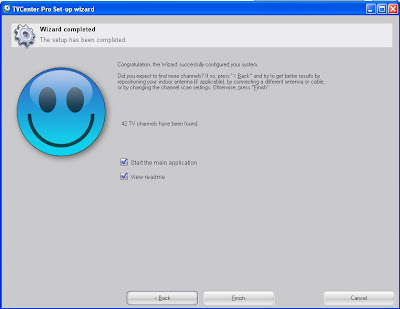 I don't recommend using this software over something more powerful (like Windows Media Center), but for getting started purposes it works just fine. Hook up the whip antenna and extend it. It will probably work best if you are outdoors, near a window or upstairs in your house. The antenna has a magnet base, so keep it away from your credit cards. Once you enter the s/w serial number, it will want to do a channel scan. This may take about 10 minutes or so while it tries to find stations that have good signal strength. Once it is done, you get to see how many channels you can get. In my case, It says I get 42 stations. Not Bad for a whip antenna! However, not all of these stations come in perfectly with such a small antenna. The strong stations should come in just fine. Here I am watching TV (channel 54 - PBS), with a really good picture. One of the things you will notice right away is that some of the channels you are used to getting don't come in. In my case channels 4, 5, 7, 11 (and others are missing). Obviously, we are going to need a better antenna. You can use the USB tuner directly with the Media-PC and it works great with Windows Media Center. Does it work on GoogleTV?